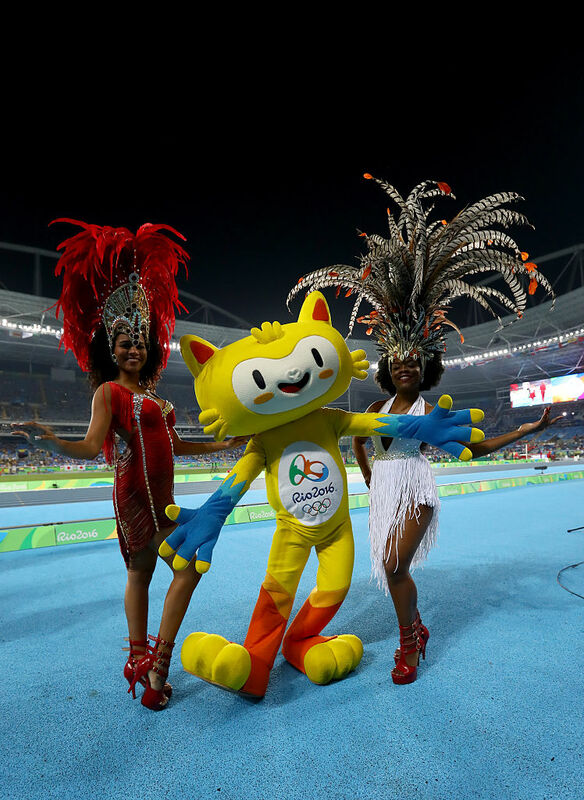 The 2016 Rio Olympics is producing a lot of very intense competition. 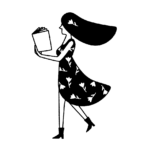 There are triumphs and Gold Medals, along with devastating falls or missteps. But throughout the games, there has been a delightful ray of happiness dancing throughout the Games to remind everyone that even in the intensity, there should be joy! 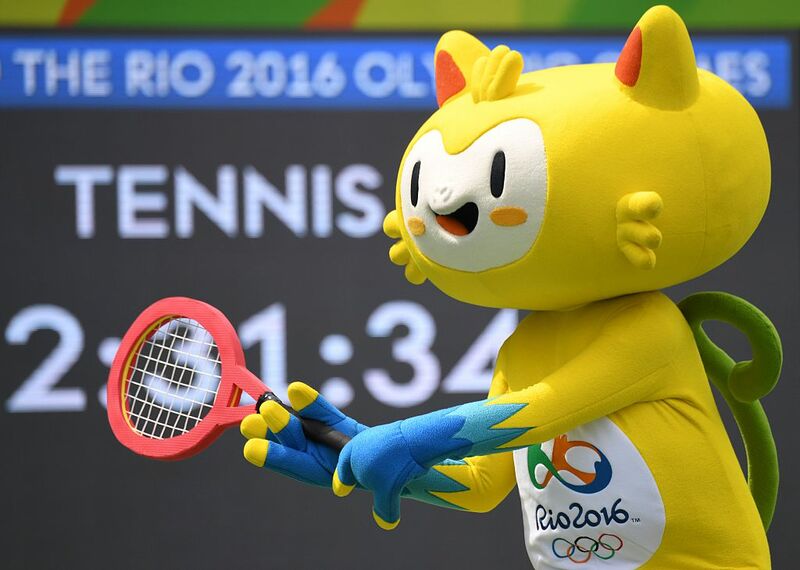 And that harbinger of delightfulness is Vinicius, the official Rio Olympics mascot. According to the Olympics website, Vinicius’ name is a tribute to Vinicius de Moreas, a famous Brazilian poet, writer, musician and lyricist. Vinicius is meant to be a mix of all different animals found in Brazil, including a cat’s agility, the balance of a monkey and the grace of a bird. 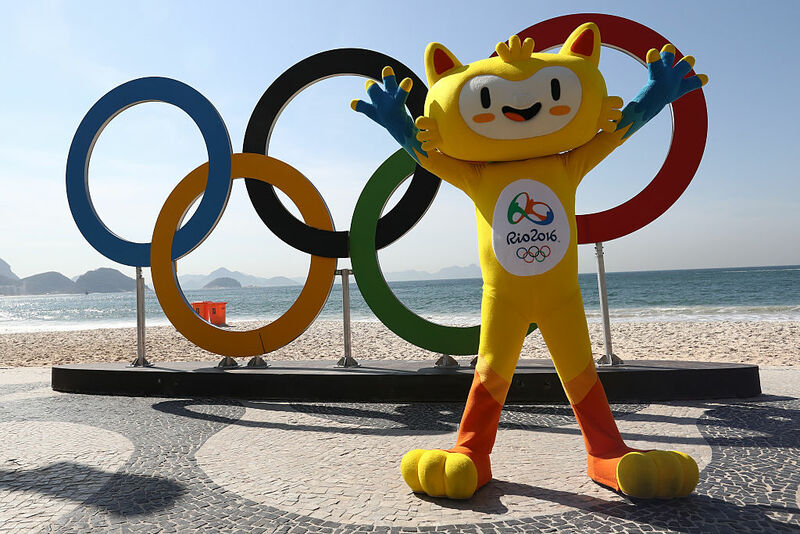 Vinicius tries its hand at various Olympic sports, including Field Hockey. 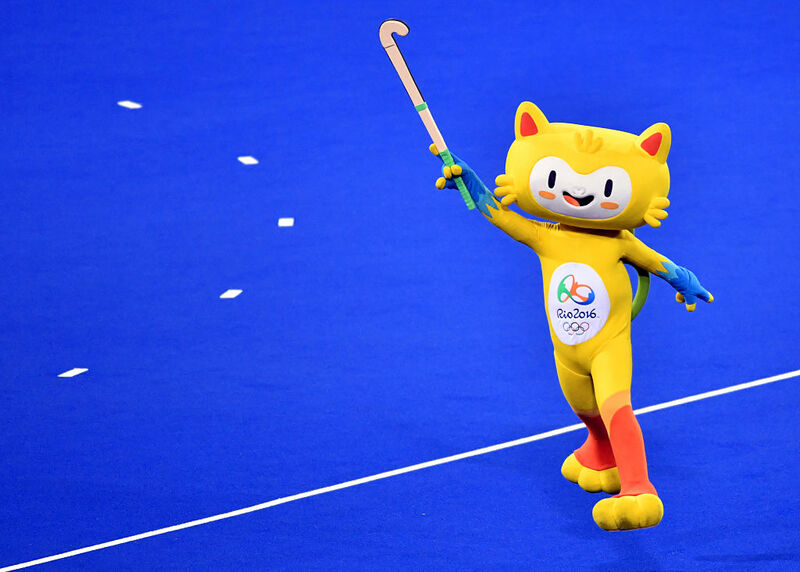 Field Hockey is one of the fun (and totally intense) sports we discovered while watching these Olympics, so it’s good to see the mascot getting into it too! 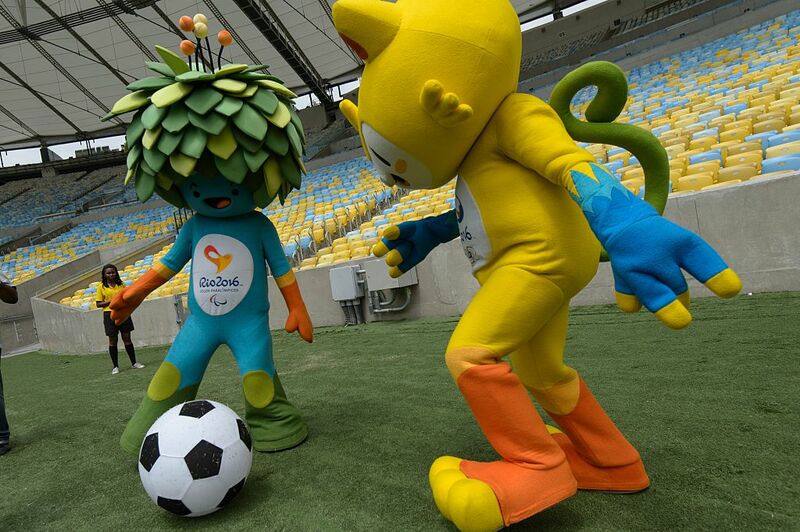 Vinicius plays some soccer with the other Rio mascot, Tom, and we may die from cuteness. That giant soccer ball is too delightful for words. It also grabbed a racket and tried a little tennis. Vinicius is probably trying to be like Monica Puig, who took home a Tennis Gold for Brazil! And even basketball! It looks like Vinicius could maybe even dunk! Vinicius gets to hang out with all the coolest stars of the Rio Olympics. 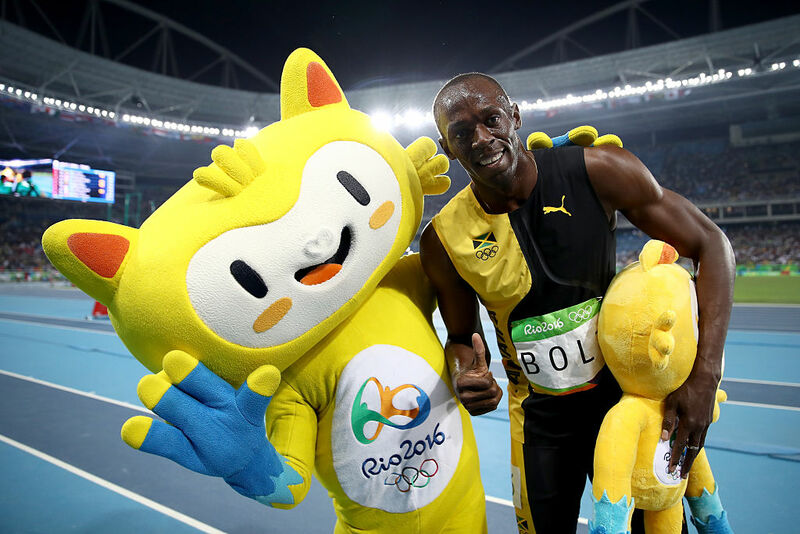 Just check it out with Usain Bolt after he won another Gold Medal. 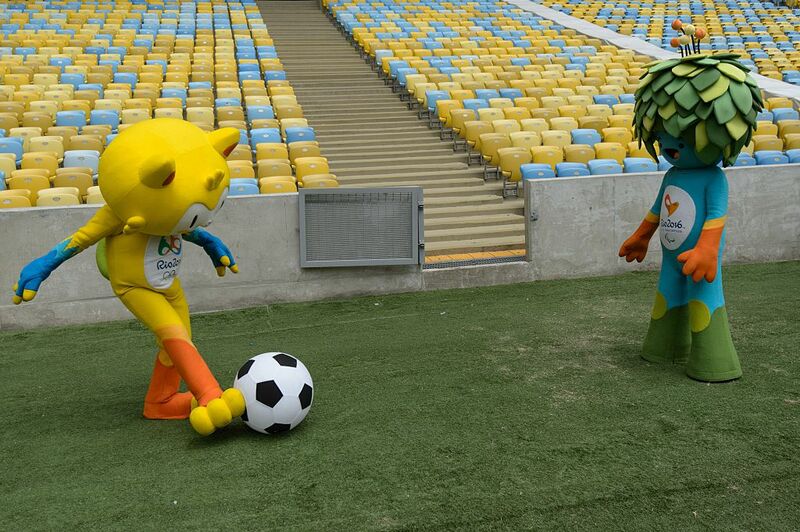 We’d love to see these two race, although Vinicius’ large head might make it tough to sprint. Vinicius even got his samba on with some dancers!